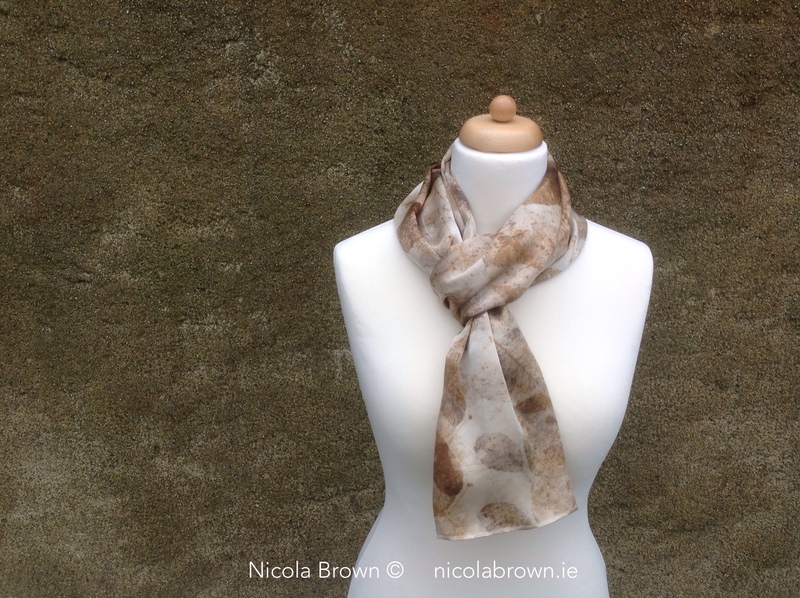 Website and shop stocktaking update plus reminder of Irish workshop plans for 2016! Tomorrow evening our group will be taking down the FORM exhibition in Blackrock and I’ll be bringing the rest of my current stock home. As a result, I’ve taken down the shop page of my website temporarily in order to assess what I have and what needs to be photographed. It’s really important that I get everything clear in my head and organised in advance of Showcase 2016, I need to know what I have and what I still need to make in addition to uploading new photos from the recent photo shoot with Patrick McHugh! I also need to finalise the cost and the dates for the residential workshop I’ll be hosting in Ireland during July. The dates will fall between 14th and 26th and the venue will be beautiful Kilgraney House which is less than ten minutes drive from Clasheen. Although the bulk of our workshops will take place at Kilgraney in the surrounds of its beautiful garden, we’ll also spend time at Clasheen in addition to visiting local places of interest including Cushendale Woollen Mill. Cushendale is where I get my wonderful lambswool woven to order, that’s another thing that will be taking place again before Showcase! Finally for today, please contact me directly while the shop is offline if you need to order any last minute gifts. The end of November and all of December to date has been a tightly coreographed dance of preparation, packing, unpacking, stand set up and stand take down, in short a whirlwind of selling events. Currently my work is on display as part of the FORM exhibition at 57 Main Street, Blackrock, Co. Dublin. This last show of the season continues until 6pm on Sunday 20th December and has been a wonderful venue for sharing Carlow craft with a wider audience. Thanks Carlow LEO for your assistance with the venue and signage. 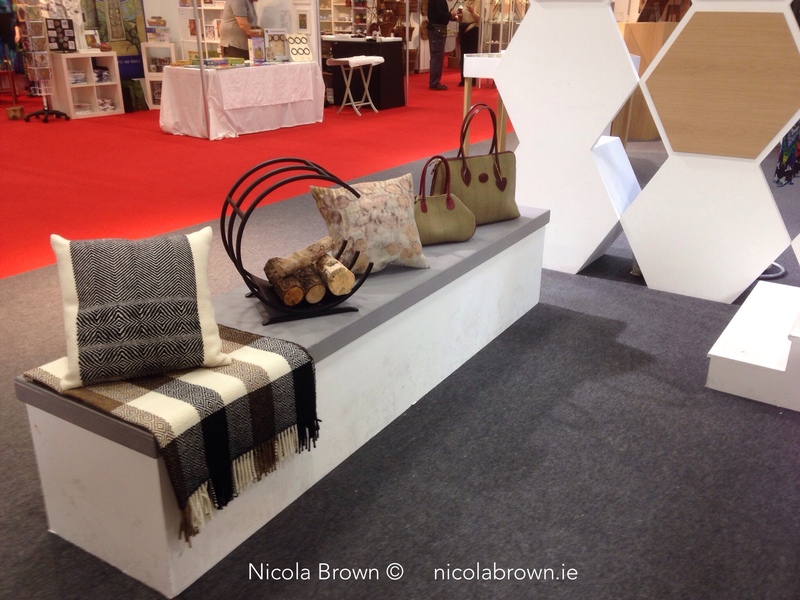 I was delighted to have one of my small lambswool cushions selected by the DCCoI (Design & Crafts Council of Ireland) for their curated area at the National Crafts & Design Fair at the RDS. Making a commitment to concentrate on printing luxury fabrics has been a good business decision, nerve wracking (because of the associated higher retail prices) but well worth the initial mental effort. Heavier fabrics such as lambswool and higher momme silk absorb the colour more intensely than lighter ones in my opinion and I'm finding it leaves me freer to concentrate on getting good placement of pattern. One of the most satisfying things (aside from sales of course!) at all these pre Christmas events was how many customers from last year returned to tell me that they were enjoying their previous purchases and how surprised they were that multiple washes hadn't affected the eco printed colour at all. It was really great to get this feedback, I know how well my own pieces wash but it's quite another thing when others have the same experience. 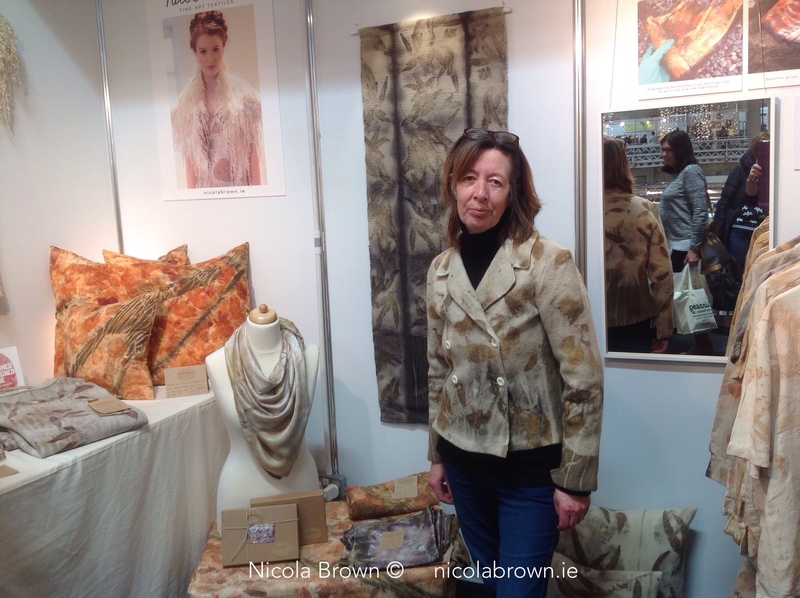 I met really lovely people at all the events, the Glucksman Gallery, Marlay Park, the RDS and now Blackrock in addition to spending happy hours chatting and explaining a little about the eco printing process to those who were interested. Finally for today, although I've not yet seen all the images from the recent photo shoot with Patrick McHugh I was thrilled to be able to use this first one for new signage just in time for the RDS! Ivey Sullivan from Morgan the Agency did a fantastic job with hair and make up while model Mya was amazing for this her first professional photo shoot, thanks so much everybody!! !